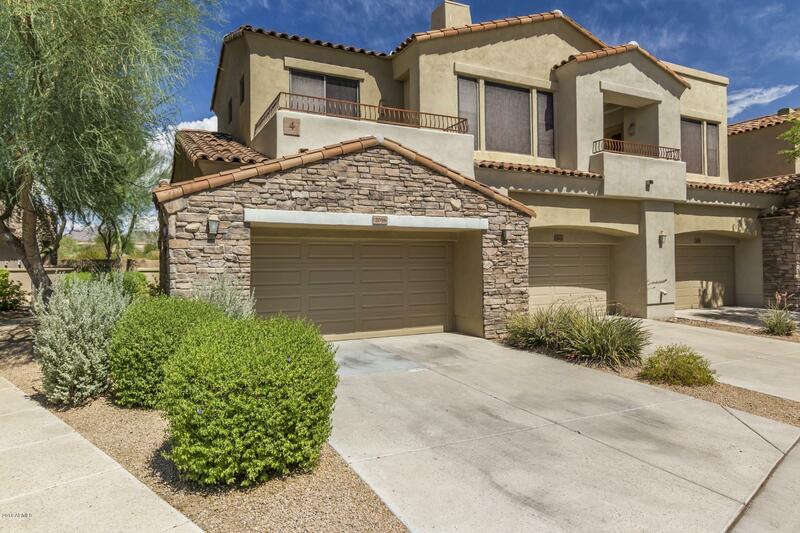 PREMIERE LOCATION IN GUARD GATED GRAYHAWK situated just steps from resort style amenities. ***FRESHLY PAINTED & NEW A/C*** This split 2 bed/2 bath floorplan features open concept living with a greatroom overflowing with natural light and two separate balcony patios. Functional u-shaped kitchen with breakfast bar seating overlooks main living area. Spacious master suite with dual sink vanity, large walk-in closet and access to patio. Oversized 2 car garage with built-in cabinetry and all appliances included. Community features high security with double gated access, heated pool & spa, fitness center, tennis & basketball courts, beautiful clubhouse and miles of walking trails. Close to championship golf, Scottsdale's top restaurants & shops, excellent schools and 5 minutes to freeway access.